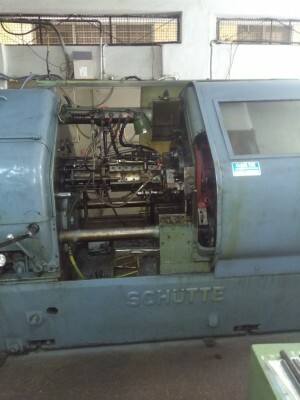 Schutte SD 32 (32mmx6 )with shaving, thread rolling, recessing,  boring, attachments, 2 sets of collets and feed fingers, new spindle bearings, new oil pump and in ready to use condition. 106, SSI Area, 5 crs, Rajajinagar 5 Blk. Next to BP Petrol bunk.